VIP Crowd Control is proud to offer custom stanchions and belts for your company or special event. Our custom stanchions offer the same quality and control as our other products, but with the added bonus of your company’s logo or special design proudly displayed on your stanchion belts. We’re ready to work with any custom project you may have in mind, no matter the size of the project or complexity of your custom design. Don’t settle for regular stanchions for your business or event! 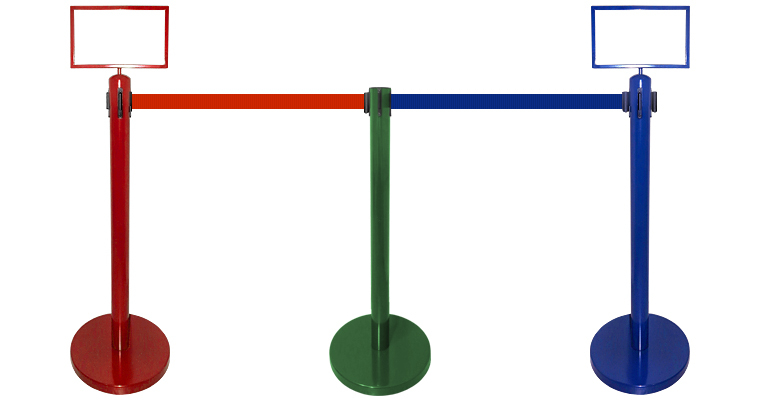 Market your business by customizing your stanchions belts with your logo or motto to attract crowds into your venue. 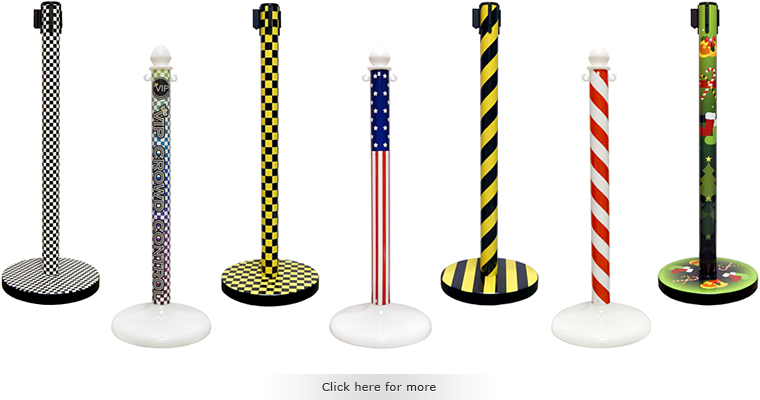 With your decorated stanchions in hand, you can advertise your company or special event anywhere, anytime. And with our quality designs, you won’t need to worry about your stanchions breaking or your belts tearing. Looking to have a uniform finish with matching logos or prints? VIP Crowd Control will work with your budget to help you beautify your crowd control equipment. Let us help you add a little “VIP” to your event with a customized design, created by you! Market your brand or company with VIP silk screening printing designed to distinguish your company from the competition. With VIP’s quality silk screening process, you will be able to transfer any logo, catchphrase, image, or print to our deluxe belts. This is a great way to both add a more professional presentation to your event and ensure your customers will be able to see and recognize your brand. Looking for exotic belt color options? With the latest printing technology, VIP Crowd Control is now able to offer custom belt color and print with no more limitation. By combing with the pantone color belt and your custom one of the kind logo to match your business branding, retractable belt stanchions won’t be a boring crowd control equipment anymore. Whether you are looking for brand recognition or monogrammed belts, VIP Crowd control can help you transfer your creation to one of our red carpet event runners. Our customized products are perfect for advertising businesses at even the most exclusive of events. Too tall? Too short? Not a problem! 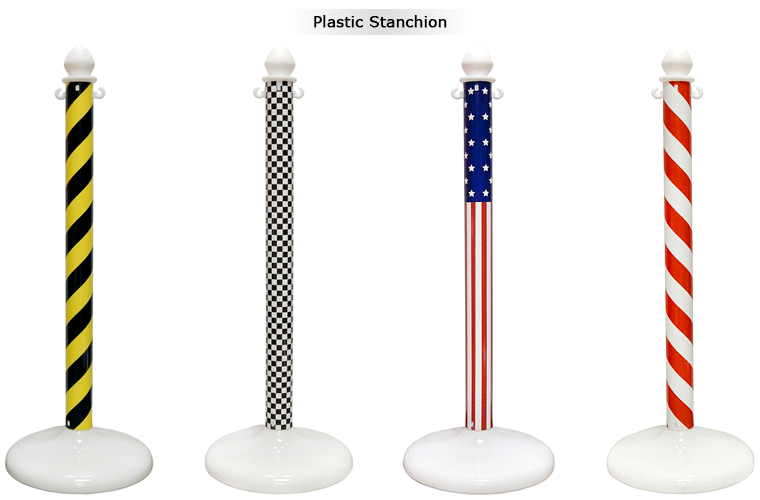 We will customize your stanchions to be the right height for you. Customized stanchions allow you to showcase your products with greater visibility while maintaining control over your crowds with ease. All of our retractable stanchions offer the same high level of quality and dependability, so you’ll never have to worry about your stanchion—or your event—falling apart. 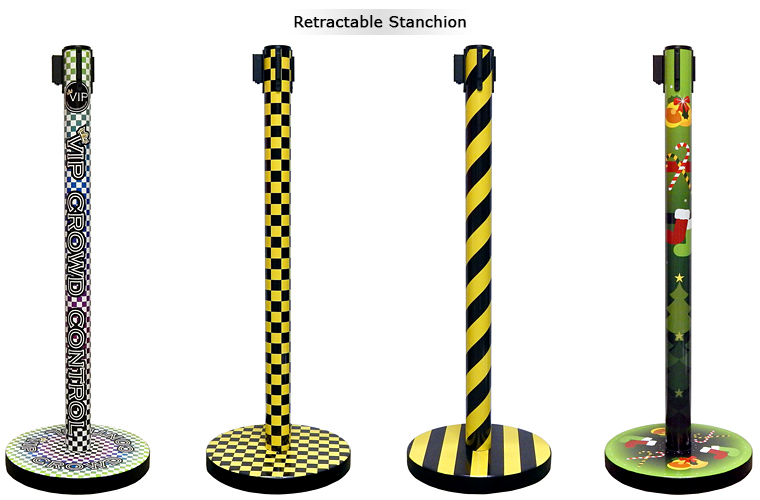 Need to know more about VIP short stanchion Products? See our Short Stanchion here! Let VIP Crowd Control take you to the front of the line. or contact us today at 888-521-0328. Our friendly specialist would like to hear from you.